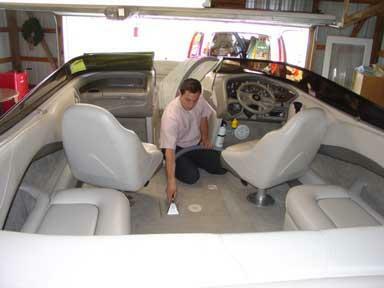 RV’s, Boats, Auto Interior & Commercial Cleaning. RV’S & BOATS CLEANING:RV’S and boats have many different materials that are exposed to the outdoor elements. Using our services for your recreational vehicles, tent trailers and boats, will keep your investments looking new. Please call for individuals requirements(awnings, fabrics, flooring and canvas to name a few). many of us spend more time at work than anywhere else. It is just as important to keep your place of business healthy, as it is for your home. You and your employees deserve a healthy work environment. Let us help provide you a healthy and happy work place.